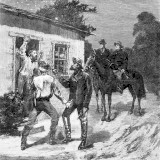 Ned Kelly led the KellyGang of bushrangers into the pages of Australian history through a series of spectacular events that ended after a 2 year chase by the police with the siege at Glenrowan. 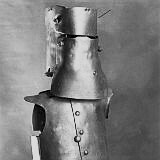 The main members of the KellyGang were Ned Kelly, Joe Byrne, Dan Kelly and Steve Hart. Please also visit the Mansfield Murders, the Euroa and Jerilderie robberies, death of Aaron Sherritt and Glenrowan siege. 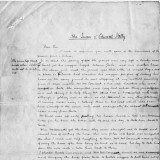 This page contains content from people who supported the KellyGang. This page contains content from police and those who supported authority. KellyGang and Friends Incorporated is a not for profit organisation that is committed to letting the KellyGang ride free through the people, places, events and things that make their story exciting. 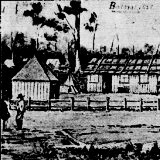 Find the hiding places and sites where the KellyGang found fame and fortune and where their friends indulged in horse stealing and tried to make a life against the challenges of the squatters and banks. 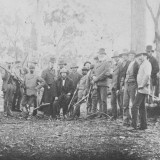 Let the KellyGang show you the places where they found safety from the law in the bush.